Mitali Tandon is Co-Founder, Morning Fresh- India’s first natural alcohol detox drink. Built with heart and soul, Morning Fresh aims to give the party goer a unique experience with a product that is natural, safe and healthy. Mitali’s passion and love for innovation has been instrumental in ensuring that Morning Fresh becomes a name to be reckoned with in Bangalore. This 25 year old entrepreneur is driven, always on the go & is ready to explore new avenues. Mitali has been able to understand the lifestyle of her target audience and thus come up with Morning Fresh. Along with a skilled team of experts, she has been constantly exploring ways to satisfy her customers with an inventive and health conscious product. 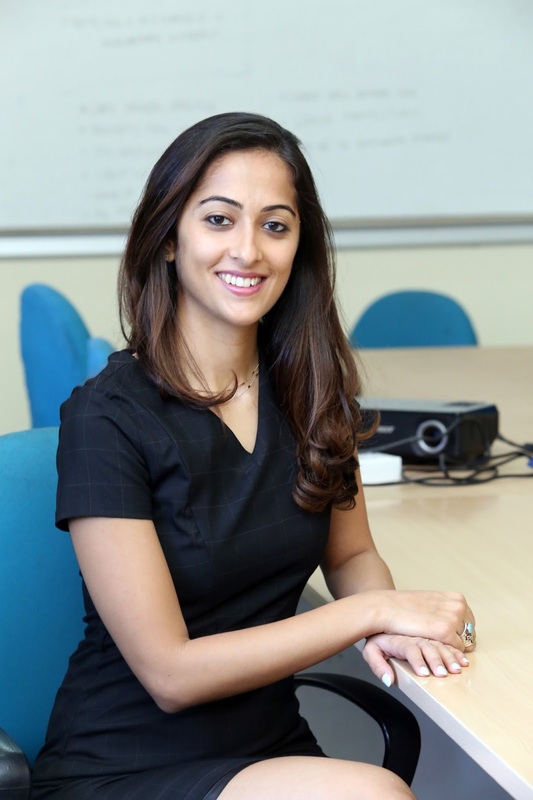 Born and brought up in Bangalore, Mitali finished her schooling in Bangalore, post which she moved to the University of Kent, UK to study Criminology and Social Policy for 3 years. Coming back she spent a year with PWC in the Forensics Department, following that she worked with a non-government organization that worked with Dalit and Adivasi’s in Karnataka to help them raise funds for two years. Post that, she decided to come up with Morning Fresh. Innovation, passion and drive are Mitali’s mantra to success. With this venture, she strives to be the best in the industry, setting new standards with each experience. Friendly, humorous, flawlessly dressed and expressive, she makes you feel at ease. Her optimism and go-getter attitude is contagious. A self-confessed travel enthusiast, swimmer, foodie, adventure junkie she constantly innovates in her professional and personal life to achieve the dreams she has set out for. In an exclusive email interaction with The Motiverge; Mitali Tandon, Co-Founder, Morning Fresh tells more about the venture and future plans. 1. Tell us more about Morning Fresh. You’ve had a long night out and worried about making it to work the next morning or missing your gym routine? Cue in Morning Fresh; a natural alcohol detox drink to help you wake up fresh, healthy, and ready to take on your day. This unique formulation is created by Sericare; A division of Healthline Pvt. Ltd. that are pioneers in the field of using silk as a bio-material. A well-established bio-tech driven firm that has strong foundations in Research & Development and uses cutting edge technology and innovation techniques to formulate ground-breaking applications in the non-textile applications of silk. Morning Fresh is one such innovation that is targeted towards young, working professionals in India with a work-hard play-hard lifestyle. Its primary function is to help detox the body of alcohol, flush out toxins and protect the liver. Morning Fresh was developed keeping in mind the changing lifestyle trends of the youth and working professionals as a post drinking solution to help relieve hangovers from the after-effects of alcohol. Morning Fresh’s unique formulation contains Proteins, Vitamin C and Mulberry Leaf Extracts; that are rich in anti-oxidants and vitamin content. It is supposed to be taken as the last drink of the night before bed as it helps in rapid break down of alcohol in the system by re-activating an existing enzyme (Alcohol Dehydrogenase) in one’s liver. It has been over a year since the inception of Morning Fresh and it has been able to isolate a need and fill the market gap with the unique concept and formulation. The product is available in three flavours; Cola, Strawberry and Mint. 2. What was the biggest turning point in your life that changed your mind to become an entrepreneur? What motivated you all to start Morning Fresh? Through school, college and in my early professional life, I have always been in and out of entrepreneurship, the independence of having an idea and making it come to life, is something that’s always excited me. In school, I was part of the Young Enterprise Program, where I was shortlisted and visited other young entrepreneurs in Seattle who were successful. While I was in college I started two properties, Shop for A Cause; an early mover in the pre-loved market that brought together furniture, clothing, music, household equipment, that were curated and all sold/donated for a cause and Burger Riot; a large scale city-wide event that invited gourmet burger enthusiasts to attend a live cook-off and rate the cities best burgers. After having tried my hand at traditional 9-5 jobs in the early half of my career, I realized I needed to get my hands dirty and push myself out of my comfort zone. I realized then the only way to quench my thirst was to take a risk and put myself out there. I was 23 when I joined the R&D team at Sericare where most of our days where spent doing intensive research, brain storming and purging the extensive information and insights we have into silk protein, sericulture and its related industries. Our aim was simple, we wanted to use our knowledge and technology to create unique products that could solve a pain-point in the market/filled a market gap. This meant, starting clean slate, several rounds of critical thinking and feedback and lots of imagination, no room for me-too’s. Morning Fresh, as an idea came to us in one such circumstance where in our research we discovered the ability of silk protein to boost liver health. Add to that some market research and we found it would the perfect opportunity to launch a product 100% made in India, for young and urban Indian’s and help them stay fit, healthy, detoxed and hangover free. 3 years, 1 patent, 30K + bottles, mistakes, successes, collaborations and learnings later, I am 26 and ready to conquer the market with Morning Fresh! We currently have a team of 30 members that range from experienced R&D professionals and a young/dynamic sales and marketing team. 4. How has been the journey so far in terms of resources, challenges faced, market response, etc.? As a bootstrapped start-up you are challenged to make the most of your resources in the market. As a boot-strapped start-up trying to create an entirely new category, we are even more challenged, but it’s what makes waking up for work so exciting! We developed this product keeping our customers in the forefront, so it was important for us to ensure it was natural, helped with detox, had no caffeine or added sugar. We even ensured there were zero fats and carbs because we know our audience is health conscious. When we launched we received a phenomenal response, everyone that tried our product has come back for more. However, since this is a new category we realised that education of this concept is what we need to constantly focus on. It’s a challenge that we are optimistic about as our marketing strategy actively includes creating a dialogue with our customers and finding ways for them to experience the product and engaging with them. We ran campaigns like Fresh Starts, The Bro’ster and consistently do events like The Sula Fest, VH1 Supersonic, Farmers markets, pub crawls etc to create international opportunities with our audience. The F&B sector is informal, competitive and changes very quickly. I learnt very early on that there was nothing about this industry or business that was going to be predictable and to get comfortable with the fact that as a business, we would always have to be quick to adapt, change, improvise. Customers increasingly know what they want, their well-connected and attention to the small details can really take you far. My day starts at 6 am to squeeze in a quick work out before the madness hits, fitness helps my mind stay focused and clear. I love making to-do lists, so by breakfast I have an impossibly long list of things to complete. I use time in traffic to listen to podcasts and stay abreast with industry news and make all my work calls during this time as well. I work closely with the sales and marketing team, because i think it’s extremely important to keep your ears to the ground. I often take a day or two off and work with the sales team in the field so I can make more informed decisions when it comes to marketing and strategy. Often evenings are spent visiting partner outlets where we might have an event or activity planned [perks of the job!] meeting interesting new people, customers and often great collaboration ideas can happen over some good craft beer! All in all, 24 hours never seem like it’s enough! In terms of response, over 2 lakh customers have tried Morning Fresh and the responses have been extremely positive. We have several early adopters who have contributed to the positive word-of-mouth among our audience. There’s nothing better than making a customer your brand ambassador and including it in their lifestyles. Through this we have also been able to create a network of bars, restaurants, events and wedding planners who proactively reach out to us for collaborations and wellness related activities. Customers have reported being able to make it to their early morning yoga classes, meetings etc after a long night out and even making the most of their holiday’s / work week because they took a Morning Fresh. 5. Who are Morning Fresh’s major competitors in India? What is its unique offering/model for business? I think our biggest competition is currently any home remedies that people are used to making after a long night out. The challenge here is to educate customers on what the effects of alcohol can have on the body and benefits of removing the toxins quickly with Morning Fresh. While home remedies have been around for a long time, we have a positive outlook on educating customers to adopt Morning Fresh, as it is a standardized and scientific formulation, which has been tested. It is easy to consume and can be carried in your bag/pocket or kept by your nightstand and you wake up feeling fresh and ready to take on the day rather than having to struggle out of bed to find the ingredients and make your concoction. With regards to its unique offering/model for business this product sells best with an omi-channel approach, while there are several customers that discover products online and like to read about them, we also aim at targeting our customers at the point of sale i.e. bars, restaurants and liquor stores so they understand the use-case of the product better and it also helps to set the context. Morning Fresh is available on www.drinkmorningfresh.com which is an e-commerce enabled website, Amazon and several other popular online platforms with Pan-India delivery along with popular bars, restaurants and retail outlets. 6. Have you raised funds so far? Where do you see Morning Fresh in coming 3 to 5 years? We are currently self-funded and are looking at expanding to all major cities in India and become synonymous with drinking responsibly, being hangover free and maintaining a healthy lifestyle. We are also going to be expanding our product basket with more innovative products in this space and reaching export markets. The small successes that come on a day-to-day basis. When you bump into a customer and they can’t wait to tell you how your product helped them through something or feel better or when a colleague takes the initiative to hustle harder to get a better deal or the satisfaction of working on overcoming a challenging issue and finding a simple solution. It’s the simple daily things that helps me build my business one brick at a time, one team member at a time, that really makes it all worth it. 8. What are your messages for aspiring entrepreneurs/young generation? Play to your strengths, be aware of your weaknesses, always trust your instincts, don’t be afraid of change, be nimble and dream big.